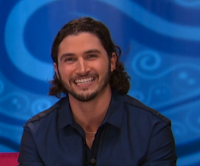 Let’s meet the #BB18 cast, courtesy of Jeff Schroeder’s interviews posted Tuesday on the CBS All Access feed. Ready for the new season of our favorite reality show? Let's get started. Tiffany, a high school math teacher in West Palm, Florida, is your standard attractive young woman. She says she’s watched Big Brother on and off since she was a teen. But nothing in her background really matters because she is #BB17 Vanessa’s sister. Tiffany says she’s going to try play the game in a less emotional way. She’ll try to lay low for a few weeks, if possible, but she thinks throwing competitions might be hard for her. Muscled, hat-wearing Jozea (pronounced “Joe-zay”) is from NYC and is a celebrity makeup artist. He hopes to be “on top of my game 24/7” but says he’s an “Energizer bunny” so he won’t easily exhaust. But Jozea didn’t reveal anything which seemed to have much substance in his interview with Jeff — not that Jeff asks any questions which would elicit much that’s newsworthy. Paulie is from Jersey and is #BB16 Cody’s brother. (Ugh! Stunt-casting. I hate stunt-casting.) 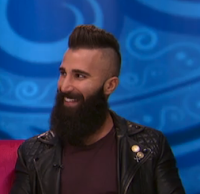 He feels like it would be foolish of him not to be honest about being the #BB16 runner-up’s brother since he and Cody have matching tattoos of their surname. 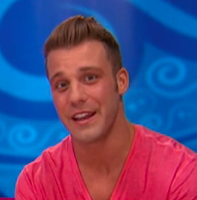 Paulie wants to play Cody’s “exact social game” … but if he gets to the end under similar circumstances, Paulie intimates that he might try to choose differently. (Cody infamously chose not to evict #BB16 winner Derrick even though it was in his power to do so, losing $450,000 by that oh-so-obvious decision.) “I would not be satisfied taking only $50,000 home,” Paulie says. Corey is from Dallas and is a youth baseball coach. 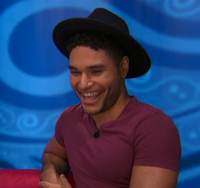 He’s got dimples and a big smile — the women (I’m guessing) in the house will probably go nuts, and Corey says he’s not above flirting to get ahead in the game. He expects to be more of a physical than mental threat. Corey was the first one that I heard answer Jeff’s “win and be hated or lose and be loved” question the wrong way — Corey would prefer to lose Big Brother 18! Will Corey be “too nice” sometimes, as he says, such that he’ll make bad game choices? If he's not driven to win at any cost, he'll get weeded out. Michelle is from Detroit and is a dietitian. 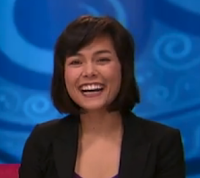 She is a fan of both the international and U.S. versions of Big Brother. She’s willing to lie, break alliances, and stab people in the back if that’s what winning requires. Her voice strikes me as slightly annoying — which probably means fellow BBG contributor & Big Brother Gossip Show host Scott is going to hate her. Natalie, yet another standard attractive young woman (because CBS knows “ordinary” and/or middle-aged women won’t attract viewers, shallow that we all are) is originally from Venezuela and can seemingly turn on an accent on demand. 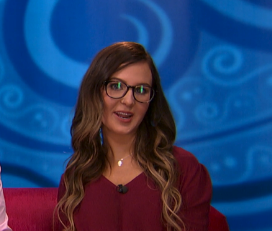 By not having watched every last Big Brother season, Natalie says “I’ll have a fresh take on it. I won’t overanalyze every situation.” She wants to do an all-girl alliance but one which isn’t “catty or mean. I’ll make sure it’s a really nice one.” Natalie says she’s “single as a Pringle” and is open to having a showmance. She confesses to being impatient but hopes being physically fit won’t make her too much of a target. She’s willing to lie to win. Like Michelle, some might find Natalie’s voice occasionally grating. Glenn is 50, has a 9 year old daughter, and is a dog groomer. He’s from the Bronx and I read elsewhere that he is a former police detective. (This immediately made me think it will be Glenn, Paulie, and a disliked female floater in the final three. Paulie will win final HOH and still lose the grand prize to Glenn.) 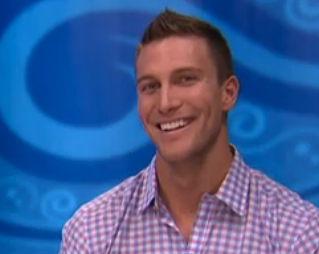 Glenn said he’s willing to flirt (but will houseguests half his age be receptive?) to get ahead. He doesn’t look 50 to me, but I doubt anybody in the house will think he’s as young as they. Historically, being that much older is a disadvantage. 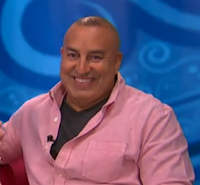 I will be curious as to whether Glenn hides his police detective experience (just as #BB16 Derrick did). Bronte (that’s “Bron-tay,” in case you weren’t certain) is from San Diego and wants to be a mathematician despite professing to be bad at math in her head. Oh gawd, her voice — I thought Michelle might be annoying to hear but Bronte? Scott’s gonna mute the volume every time she's on. Bronte says she’s a numbers girl who looks at statistics, and showmances historically make people a target. Her strategy is to be friends with everybody, but “at some point I need to take more control or everybody will start putting me up as a pawn.” Bronte will use “behavioral science to get people to say yes to me. I'll use math and science to win." Good luck with that. Victor has a close-cropped beard and slightly long hair. He’s from Puerto Rico but lives in New Orleans. Since he manages 14 people in his job at a gym, he hopes to employ those skills to manage people in the house. Victor says he’s a “triple threat” — physical, mental, social, except that endurance challenges might be a disadvantage. Zakiyah (“Zack-EE-ya”) is a preschool teacher from Charlotte, North Carolina and says she’ll use her looks and “flirty abilities” to her advantage, and she’s ready for a showmance and to take that relationship all the way to the show’s end. Zakiyah worries that her mouth might be her downfall. She thinks she will be more of a mental threat than anything else. She wants to make lifelong friends and “maybe a boo,” which makes me think that she will prioritize romance over finding actual good strategies to advance. That’s a shame, because she could exit early and the show will lose some much-needed diversity. Paul (not to be confused with Paulie) has a long, dark beard (some might say he’s like a younger #BB16 Donny) and a partly-shaved hairstyle. He thinks he’ll go far “unless they hate me right off the bat, which isn’t not possible.” (Yes, that’s how he said it.) He has a ready staccato laugh. “Hate me? Hate me. Like me? Like me. Whatever happens, I’ll take it. It’s gonna be nuts. I’m gonna be wild.” I don’t think the other houseguests will hate him. In fact, if I had to make a very early “fan favorite” prediction, it could be Paul. Bridgette is a traveling ER nurse from Fresno, California and she’s full of energy. She’s charming and I instantly like her (which of course means she might not get anywhere in the game). “No showmances in the plan.” Being a nurse who has to work in different, unfamiliar places has prepared her for the game, she says. But Bridgette confesses to being a “bad liar. Only my closest friends or mean people” have seen her dark side, she says. Condescension makes her angry — I'd like to see that but it's difficult to imagine at the moment. Can Bridgette's gameplay develop any real substance? Those are the 12 houseguests revealed so far. The rumor mill suggests #BB14 Frank (most definitely not to be confused with He Who Shall Not Be Named from #BB16), #BB16 Nicole, #BB17 Da’Vonne, and #BB17 James will be returning — but confirmation is unlikely until the first Thursday show on CBS (the day after the two-hour season premiere on Wednesday, June 22, 2016). 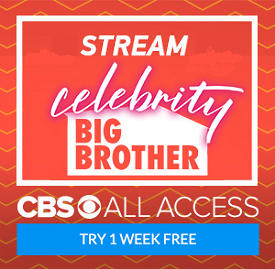 Don’t forget that Scott, Colette, and Mike will be on the air this Saturday at 10:00p Eastern for the season premiere of the Big Brother Gossip Show! Expert analysis of all 12 houseguests so far in their trademark entertaining style. My instincts remain mostly undeveloped as to who will do well and why, so no predictions from me — that’s your job. Who do you like? Who’s gonna win Big Brother 18? Hit me up in the comments or @uselesstraffic. And: If you're reading this on a mobile device, note that at the top of EVERY PAGE is a new link to John's BB18 Cast Ticker -- click that any time to see the photo graphic which shows every houseguest and his/her current status in the game. It's one-stop shopping. Update: If you'd like to read cast bios with a side-splitting dose of biting, brilliant humor, you simply MUST go over to ColetteLala.com. Trust me on this.